Are you a teacher or student? Bored of learning from the classroom or thinking of how to improve your learning experience? 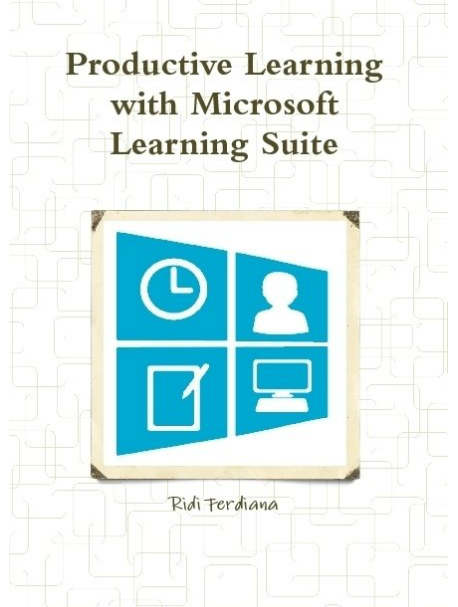 Check out this book on Productive Learning with Microsoft Learning Suite, written by Indonesia Visual Studio ALM MVP Ridi Ferdiana. who is also a lecturer and researcher in Universitas Gadjah Mada. A 70-page book, published on Feb 1, 2013 by Lulu Publisher, this book tells you how you can use a free software – Microsoft Learning Suite to make a learning experience more intuitive, fun, and technology enabled.